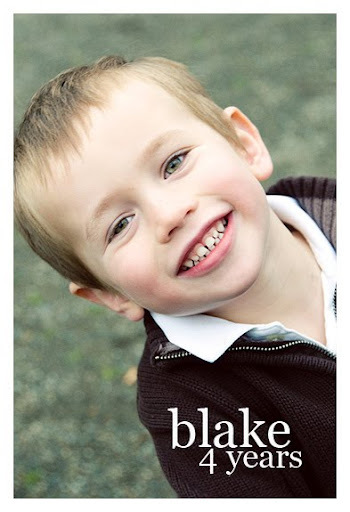 Monday December 28th, My little boy Blake turned 4 years old. I can't believe it. Boy how time flies. I still remember having him in the hospital. He was such a big baby at 10 pounds 11 ounces. When the Dr. pulled him out, he said, " this baby looks like he is 3 months old. Blake has always been full of surprises, since day one. Sunday night I was reminding him that tomorrow was his birthday. 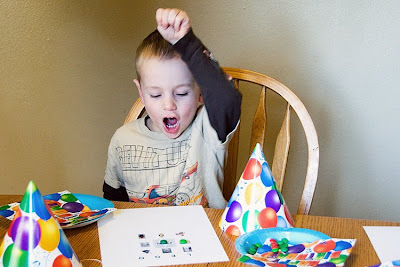 He said, "Yes, and my birthday party too?" (Yikes, I hadn't really planned one just because it is so close to Christmas.) 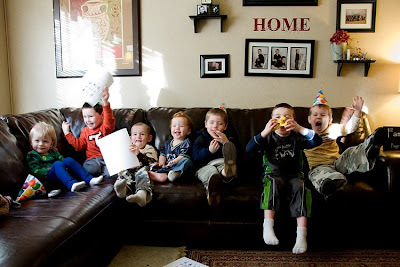 He said he wanted to have a BOY party. (Weird?) So I invited a couple of his little friends. They were all so sweet to come last minute and celebrate his birthday with him. 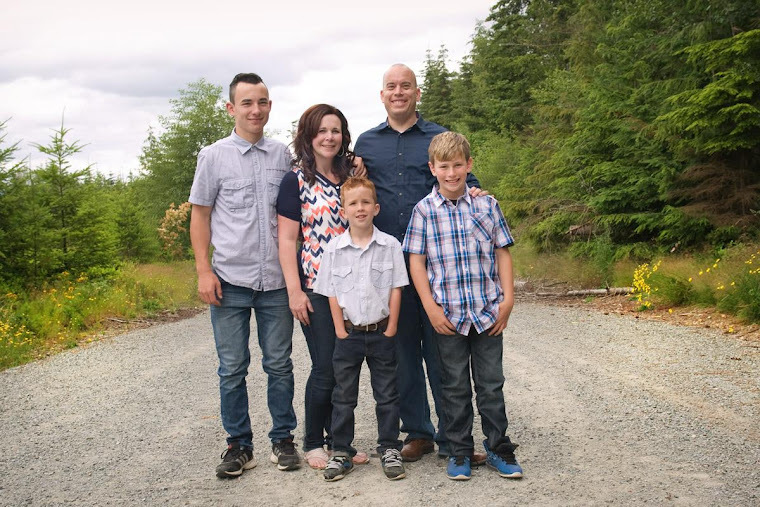 Blake , Ryland, Davie, (Elizabeth, not a Boy but got to come with her brothers), Isaac and Michael. 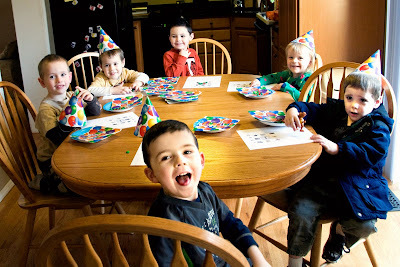 The whole birthday party. Look how much fun Bordy looks like he is having. He really thinks he is just one of the boys. 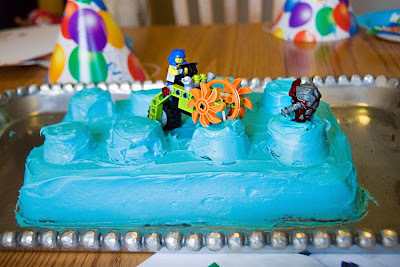 Daddy was pretty proud of the Lego cake he made for Blakes birthday. He really is the Martha Stewart of the family. 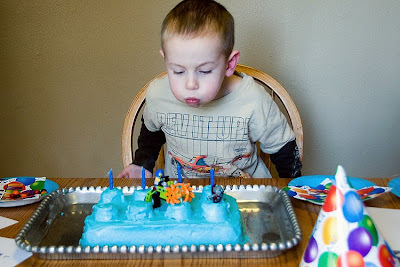 Blowing out his four birthday candles. The fun did not stop there. 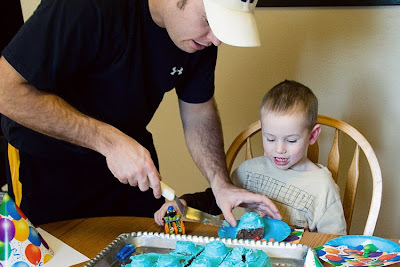 After the party was over we made Blakes favorite dinner : Homeade pizza and watched a family Movie. IT was a special day for a special BOY! 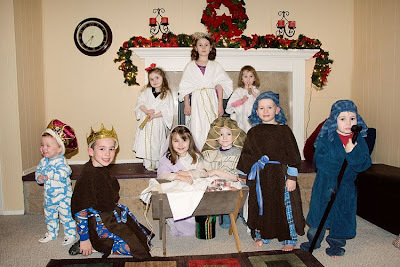 Here are the pictures of our annual Christmas Eve nativity. 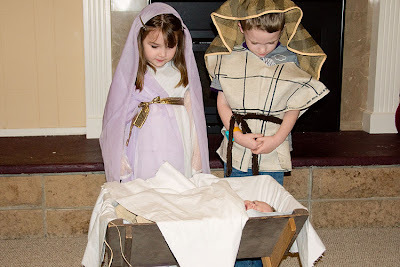 This year Jenna was Mary and Ryan was Joseph. 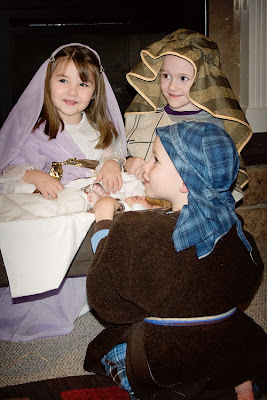 Baby Matthew was our little baby Jesus. Tommy was a wiseman and a shepard, Brody was a wiseman and Blake and Davie were Shepards ( they always want the stick/cane). 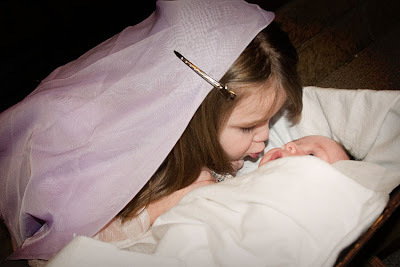 Audrey, Emily and Catie were our beautiful angels. 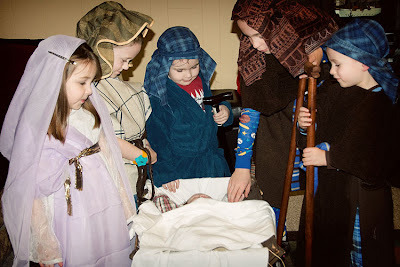 This is such a fun tradition that the kids look forward to. I think it is going to be so fun to look back at these pictures through the years. My guess is when they are teenagers they will not dress up for us anymore, so in the mean time I am going to cheris it while I can. 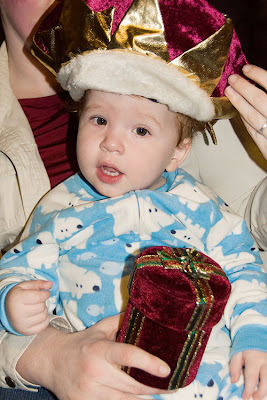 Isn't Brody the cutest Shepard in his hat and snowman pajamas. 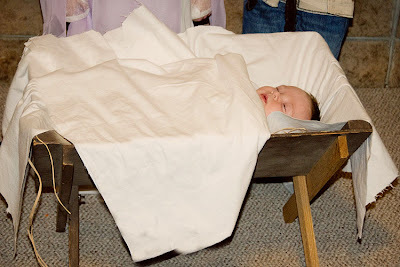 Christmas Eve is the holiday I looked forward to most, all year long when I was a kid, and still do to this day. The whole family (except Jason, Jenn , Jaylee and Jennibelle who are in Pensylvannia ) get together. We always have so much fun food, and fun times. 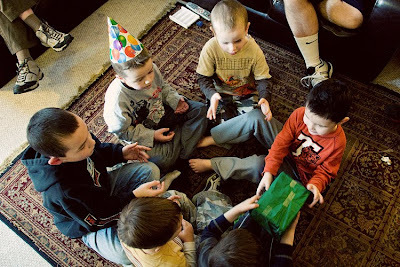 It is tradition that the kids get to exchange gifts and open one gift on Christmas Eve. It is so much fun.